Unroll each can of dough. (If using crescent dinner rolls, carefully pinch dough together at open seams to create one even dough sheet.) Cut each sheet evenly into 6 rectangles. In medium bowl, stir together chicken and soups with whisk until blended. 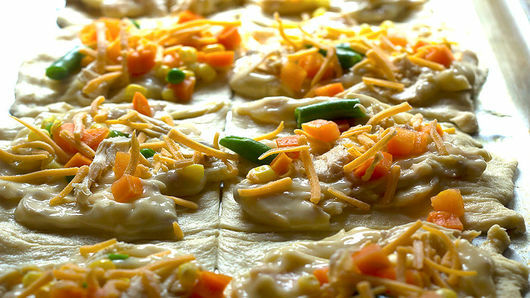 Carefully spread thin layer of chicken-soup mixture on each dough rectangle. 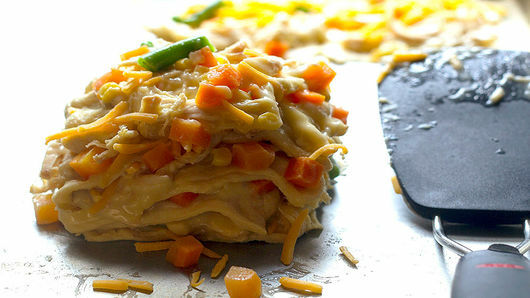 Sprinkle mixed vegetables and cheese evenly on all rectangles. Using spatula or pancake turner, gently stack 5 to 6 rectangles on top of each other; slide vertically into loaf pan. Continue until all stacks are placed in loaf pan. Sprinkle top with any remaining cheese. Bake 50 to 60 minutes or until top is completely golden brown and sides of loaf have become solid. Remove from oven; let rest 20 to 25 minutes. 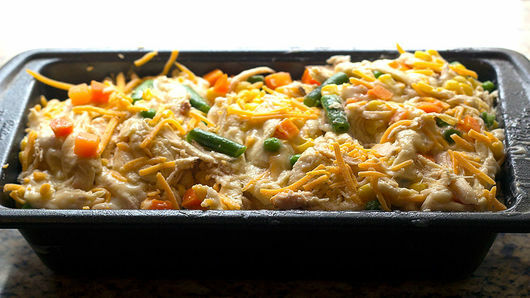 Plate heatproof serving platter upside down over loaf pan, turn pan and plate over. Remove pan. Serve hot. 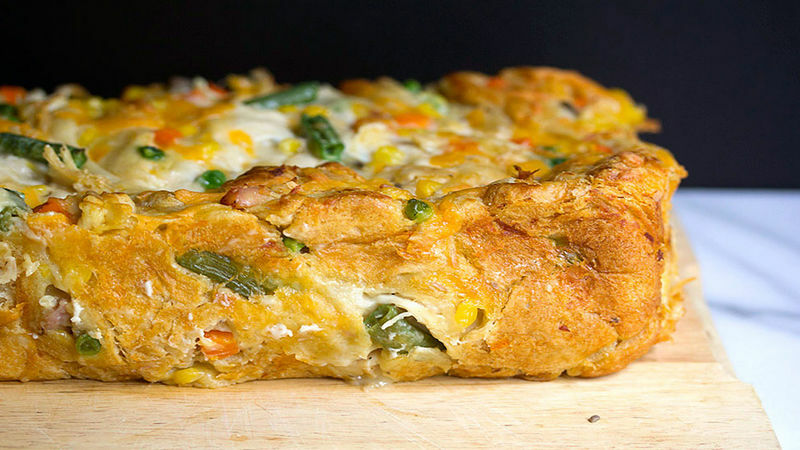 Try swapping in mozzarella cheese or Colby-Monterey Jack cheese instead of Cheddar cheese.